2012 Volkswagen Tiguan has appeared at the Geneva International Motor Show. SUV type of car is in great demand in European market, especially in Germany. 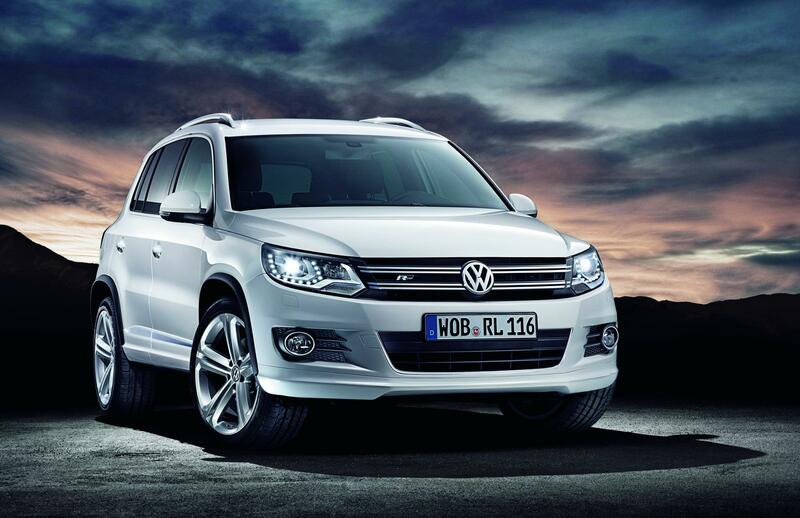 To further attract consumers in particular, Volkswagen (VW) and then introduced the featured Tiguan R-Line. This feature includes a feature for the exterior and interior. 2012 VW Tiguan R-Line is designed to bring the sport and a dynamic sensation. R-Line exterior package bumper assembly consists of the R-Design and color customized with the color of the car body. Other features offered on the exterior of this car is a black rear diffuser, aluminum door frame with R-Line logo, grill also installed R-Line logo, and 19-inch alloy wheels with tires Sterling silver sized 255/40. R-Line package features exterior body color combined with options like Candy White, Reflex silver metallic, Deep Black pearl effect, Night blue metallic and Pepper gray metallic.